Speaking at the GameStop Manager's Conference in Las Vegas tonight, Nintendo's Reggie Fils-Aime has revealed the launch details and pricing for Wii Fit Plus. 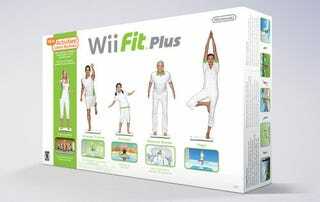 The bundle - which is the Wii Balance Board and a copy of Wii Fit Plus - will retail for $100. Those who already have the Balance Board can opt for just Wii Fit Plus on a standalone disc, which is only $20. Both those will be out on October 4.